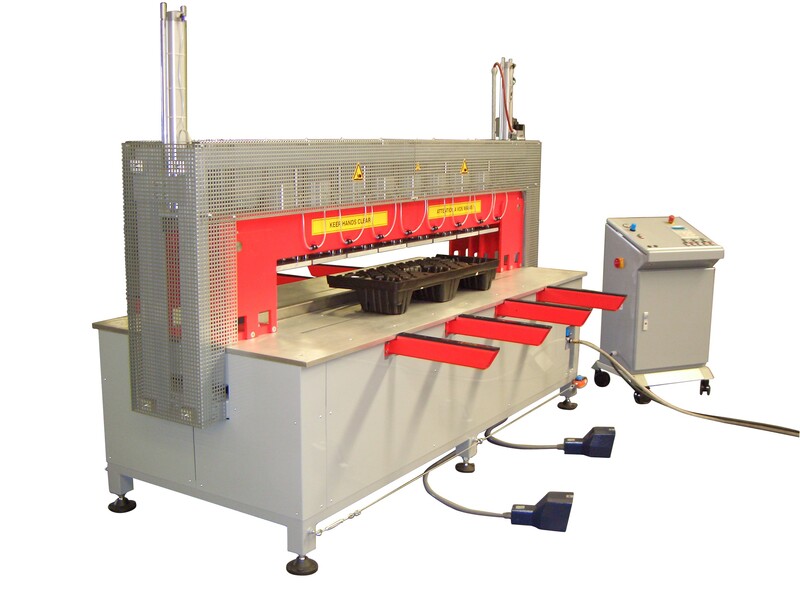 INGENIA SP pallet welding machines are robust non-standard machines for welding high profiling pallets and pallet ends and/or covers. The welding cycle runs automatically; a central computer can, as an option, determine the vital welding parameters. Any value suggested by the computer can be corrected or changed by the operator. A pressure control valve is used to manually set the joining force for the standard machine. If the central computer is to assume control of the table forces, then we can provide - at an extra charge - a proportional valve to extend the force control. The working width is 1.2 m, 1.5 m or 2.0 m; the largest cutting surface to be welded is 300 mm. The machines are for processing all the usual thermoplastic materials.